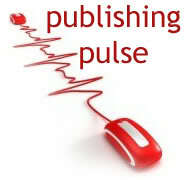 The QueryTracker bloggers have decided to change our Publishing Pulse schedule to the second and fourth Fridays of the month. Please update your calendars accordingly. Check out our newest success stories, Christopher Buecheler and David Noer. Congratulations, Christopher and David! We've added six agent profiles to our database and updated eighteen. That's a lot of motion in the industry, so please make sure you double-check every agent's website or Publisher's Marketplace page before sending your query. Amazon is launching a new crowdsourcing program. Details to come later. Remember when we wrote about diversity in publishing? It's not just diverse books we need, nor just diverse authors. ...of the 630 respondents who identified their race, 89% described themselves as white/Caucasian, with 3% selecting Asian and another 3% indicating Hispanic. Only 1% said they are African-American. Clearly we need more diverse publishing personnel too. Read more. To criticize Amazon, the publishers and their defenders must simultaneously insist that literature is essential for society, and that a sudden increase in its availability would be a catastrophe. If Amazon vs Hachette is looking bad, just wait for the audiobook wars. Going through corporate headquarters is one of my favorite things to do because it always works out well for me and is not frustrating or time-consuming at all. Have you ever wondered what would happen if your book changed a reader's life for the worse? So apparently my automatic I-got-your-query response doesn't send to any querier named Michael. Sorry, Michaels. Will fix that weirdness. 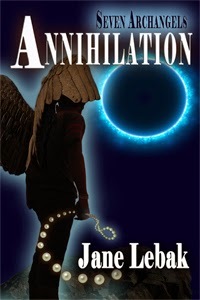 Jane Lebak is the author of Seven Archangels: Annihilation. She has four kids, three books in print, two cats, and one husband. She lives in the Swamp and tries to do one scary thing every day. You can like her on Facebook, but if you want to make her rich and famous, please contact Roseanne Wells of the Jennifer DeChiara Literary Agency. First 100 Words Category Romance Winners!